Have you dreamed of completing a triathlon but haven’t been able to fit it into your schedule? Or maybe you can’t make it out to Kerrville Tri this year. Or maybe you’re just too nervous to do the swim, bike and run all in one day. 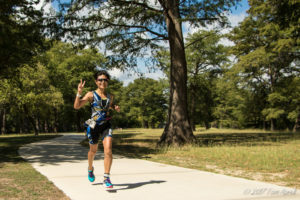 If this is the case – then The Kerrville Virtual Triathlon is for you! 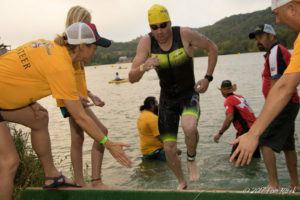 You’ll have from the actual Kerrville Tri event day September 29, 2018 until October 22, 2018. That’s 3 weeks to swim, bike, and run. Results must be submitted by midnight on October 22nd using the form below. At Kerrville Virtual Triathlon you will have the option of choosing from Sprint, Quarter & Half Distance. 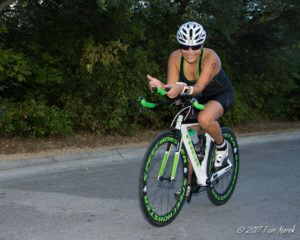 Debra Zapata Sprint Distance: 500m Swim, 14.5 mile Bike, 5 Km Run. Half Distance: 1.2 mile Swim, 56 mile Bike, 13.1 mile Run. Choose your challenge from the distances above. Swim, Bike & Run! Complete your distances indoors or outdoors during the time frame. Post your results and a photo before October 22, 2018. Bib number, plus helmet and bike number. – Bibs will be personalized with your name if registered before Sept 1st. Awesome Belt Buckle Finisher Medal to show your accomplishment! You’ll receive all of this gear in the mail before you toe the virtual line on September 29th!